Cases of measles have skyrocketed in one county in Washington state, according to public health officials. Twenty-two cases of measles have been reported in Clark County since Jan. 1, according to the Clark County Public Health website. The majority of cases -- 17 -- have been in children ages one to 10, county officials wrote in a report published Monday. Four people ages 11 to 18 and one person between the ages of 19 and 29 have been diagnosed, the report states. One person has been hospitalized. Measles is a highly contagious illness with symptoms including fever, cough and rash. Several health care facilities, schools and a church have been identified as possible locations of public exposure. The outbreak has particularly affected religious and private schools in Clark County, according to The Oregonian. Of those diagnosed, 19 people were not vaccinated, officials said, while three of the cases have been verified. About 78 percent of public school students in Clark County have completed their vaccinations, Clark County Public Health director Dr. Alan Melnick said in a statement. The county has one of the worst vaccinations rates in the state, The Oregonian reported, citing state records. The public health office is requiring students and staff without documented record of vaccination to not report to the schools identified as possible exposure sites. 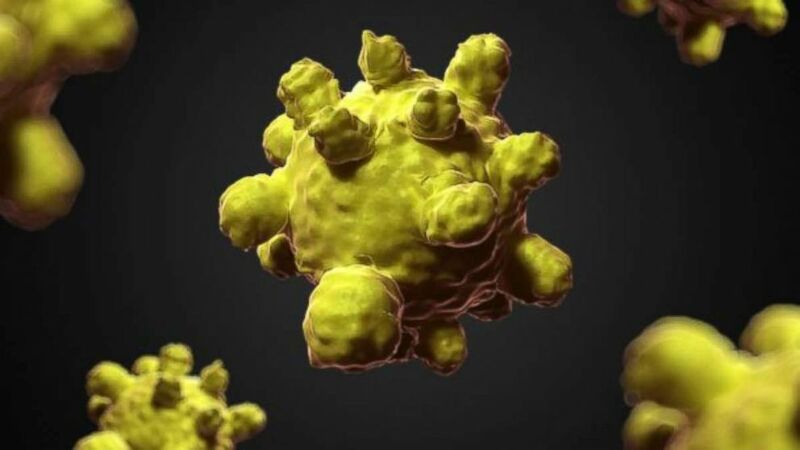 The measles virus is depicted in this undated file image. Before people began being vaccinated in the early 1960s, 400 to 500 people died every year and 50,000 were hospitalized, Melnick said. "This is completely preventable, thanks to a very effective vaccine," Melnick said. "The measles-mumps-rubella vaccine is 97 percent effective for two doses and 93 percent effective for one dose." Clark County Council Chair Eileen Quiring declared a public health emergency on Friday in response to the outbreak. The outbreak is evolving and Clark County officials expect numbers to change. Health officials are encouraging anyone who is experiencing measles symptoms to call their health care provider before going in to avoid exposing others. "People who believe they have symptoms of measles should not go directly to medical offices, urgent care centers or emergency departments (unless experiencing a medical emergency) without calling in advance," Clark County Public Health posted on its website. In 2018, 349 individual cases of measles were confirmed in 26 states, according to the Center for Disease Control and Prevention.